Evil is not confined to war or to circumstances in which people are acting under extreme duress. Today it more frequently reveals itself in the everyday insensitivity to the suffering of others, in the inability or refusal to understand them and in the casual turning away of one’s ethical gaze. 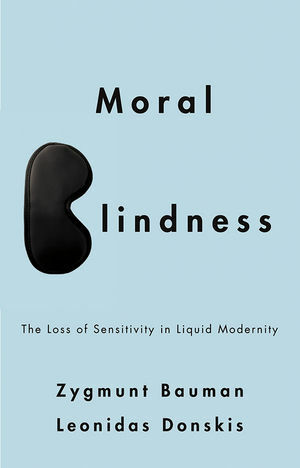 Evil and moral blindness lurk in what we take as normality and in the triviality and banality of everyday life, and not just in the abnormal and exceptional cases. The distinctive kind of moral blindness that characterizes our societies is brilliantly analysed by Zygmunt Bauman and Leonidas Donskis through the concept of adiaphora: the placing of certain acts or categories of human beings outside of the universe of moral obligations and evaluations. Adiaphora implies an attitude of indifference to what is happening in the world – a moral numbness. In a life where rhythms are dictated by ratings wars and box-office returns, where people are preoccupied with the latest gadgets and forms of gossip, in our ‘hurried life’ where attention rarely has time to settle on any issue of importance, we are at serious risk of losing our sensitivity to the plight of the other. Only celebrities or media stars can expect to be noticed in a society stuffed with sensational, valueless information. This probing inquiry into the fate of our moral sensibilities will be of great interest to anyone concerned with the most profound changes that are silently shaping the lives of everyone in our contemporary liquid-modern world. LEONIDAS DONSKIS is a member of the European parliament, professor at Vytautas Magnus University in Kaunas, Lithuania, and author of over thirty books.